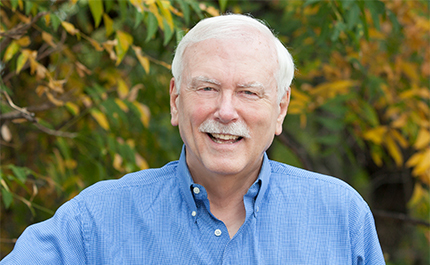 As planners and landscape architects, so much of what we do is tied to the bigger picture. From market research and project economics to theming and sustainability goals, we collaborate with our clients and with other project team members to bring multi-faceted concepts to life. No doubt, the big picture is incredibly important to the overall success of the project. But equally important are the design details, which help communicate the big picture in ways that are meaningful to the individuals who visit these urban spaces. It is easy to overlook the details, to not spend the time considering how the user will experience the space. How might that experience be enhanced by an element of surprise, or by a reference to the site’s history, or by a connection to the project’s design premise? These are among the questions we must ask ourselves when we set out to design and create successful urban outdoor spaces. More than just a means to an end, the artful streetscape has the opportunity to make a significant first impression and to begin to articulate the vision for a project. Design cues along the streetscape can communicate intended uses, help control traffic, and provide unexpected areas of interest and special character. For example, details such as removal of vehicular curbs in key pedestrian areas can subtly indicate that the outdoor space is primarily for pedestrians and not the vehicle. Varying the perceived width of the streetscape through increased and varying building setbacks can also bring a heightened level of visual interest along what would normally be a monotonous repetition of street trees. Visual and tactile connections with nature are realized most abundantly through our parks and open spaces, but what about smaller urban “development pockets” that contain high dense offices, ground level retail, restaurants and commercial shops? It is still possible and desired to create these important pedestrian connections to the outdoors even in the most compact of urban spaces. 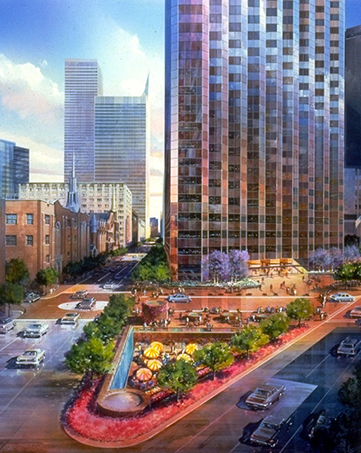 As demonstrated at Lincoln Plaza in Downtown Dallas (shown above), multi access can be provided primarily at street level, but can also be supplemented through multi-level bridges, or lower level people connections offering a variety of designed corridors and access points. Lincoln Center’s multiple access points offer excellent views of building entrances, outdoor courtyards, and artful rooftop gardens. 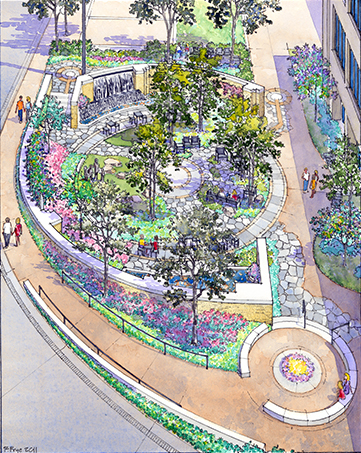 At Chase Bank Urban Park in Downtown Dallas (ref: graphic above), concentric serpentine sculptural walls radiate out from the bank’s main lobby and into the River Birch Groves outside, blurring the visual lines between indoors and out while creating a strong connection between the two urban spaces. The wall forms provide an interesting sculptural setting, mixing the man-made with natural forms. Creating memorable outdoor spaces requires a thoughtful exploration of the site at the pedestrian level, combined with an awareness of the big picture. Site details can tell a story, provide inspiration, and establish the character of the project. They can frame particularly scenic views while simultaneously screening more unsightly areas. 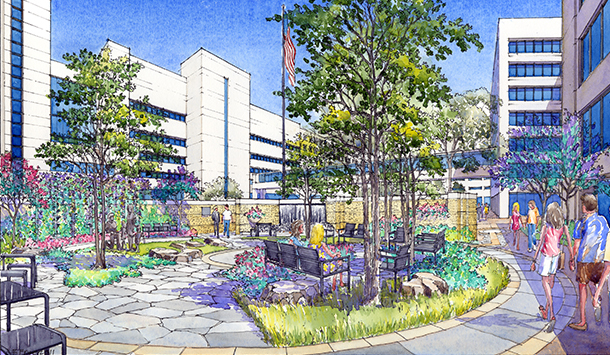 At the Baylor University Medical Center Interfaith Garden of Prayer, the goal was to provide a refuge and place of healing for patients and their families. The site bordered a busy thoroughfare, so cooling water wall features were devised to provide a soothing, white noise environment while at the same time reducing the urban noise from the street. These and other thoughtful site details required an understanding of the broader project goals, but also the ability to imagine oneself in the space, interacting with the site at a pedestrian level. Particularly in urban areas, users experience the site at a very personal level, in close proximity to the newly created details. 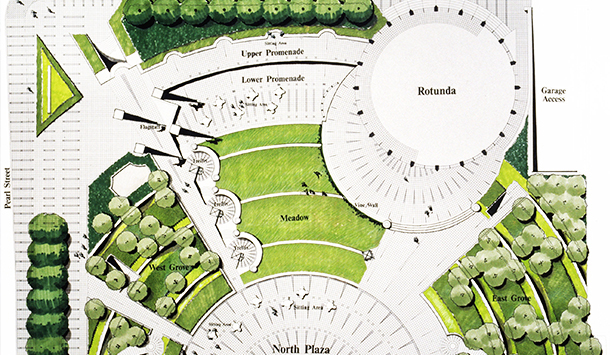 Rather than whisking past in a vehicle, visitors encounter the design at a pedestrian’s pace. These characteristics of the urban environment emphasize the importance of the tiny details as part of the project’s big picture. It is these details which make our urban outdoor environments special, unique and memorable. As planners and landscape architects we must challenge ourselves to think big, but also to appreciate the small.